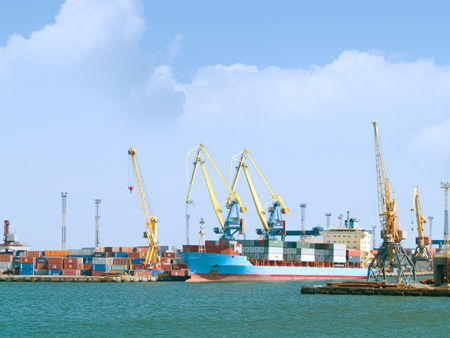 International trade, the cross‐border exchange of goods and services, is now widely acknowledged as an important engine for growth in most developing economies such as Ghana and as long as Ghana engages in trade, an increasing number of banks and financiers will be required to fund trade businesses. In Ghana, almost all commercial banks offer trade financing products and services in one way or the other, however, there is one Bank that keeps defying the odds and standing tall where trade financing is concerned and that is the 14th Ghana Banking Awards winner of the “Best Bank in Trade finance”, Zenith Bank (Ghana) Limited. Zenith Bank’s commitment to trade financing stood tall above its peers and was affirmed by its numerous customers as well by the volumes of trade transactions effected. According to the Bank that also won the same award in 2012, its rich reputation in trade services is largely in line with its vision “to be the reference point in the provision of prompt, flawless and innovative banking products and services in the Ghanaian banking industry”. One of the trade financing services offered by the bank is the invisible payments or personal remittances. This service is typically accessed for the payment of non-merchandized goods such as fees, medical bills, and personal remittances to institutions and individuals abroad. With the pre-payment or advance payment option however, it is meant to offer payment for goods not yet shipped to Ghana. This is so common for importers and small and medium scale enterprises that have imported merchandise or intend to import goods but are required to pay their suppliers before shipment. According to a Bank of Ghana directive, this pre-payment service to merchants should not be more than US$50, 000 or its equivalent in other currencies. Quite similar to the advance payment service is the open account payment options. The difference is that, the open account is a form of payment for goods which have already been shipped to the importer and payment expected at a much later date. There is no threshold to this payment type. Zenith also provides bills for import and export collections. Under this settlement option, the exporter, who is the drawer, ships goods and hands over the shipping documents to a bank, which is referred to as the remitting bank. The remitting bank in turn forwards documents to the importer’s (drawee’s) bank, which is termed the collecting bank. Here, the two banks involved in this chain are only courier parties and facilitators. Last but not the least of the trade payment options available at Zenith Bank is the provision of Letters of Credit for companies and individuals engaged in import and export. This is an irrevocable undertaking by the issuing bank, in this case Zenith Bank on behalf of the applicant/importer that it will honour payment if documents covering shipment are made as per the terms and conditions of the Letters of Credit. The bank also provides same day value for all transactions, guaranteeing that suppliers/beneficiaries/families and friends get instant value for all. The bank attaches urgency to every single transaction and ensures issues raised are addressed immediately. It is easy to notice that the trade financing services the bank offers are not different from what is being offered by other banks, however, it is the diligence with which the services are executed that gives the Bank a competitive advantage over its peers and keeps customers coming back for more. The award winning bank’s trade services team, undoubtedly, the best in the industry, are always on hand to ensure that it does not only fulfill trade financing needs, but executes them in a prompt and timely manner that adds value to the customers’ business. Not only does Zenith Bank possess outstanding expertise and attitude to customer service in the daily execution of its duties, they always ensure strict adherence to the Central Bank’s regulatory framework whilst ensuring that all its customers’ trade financing needs are met. Customer Satisfaction is the Bank’s priority and that drives it into coming up with innovative products and services which cater to the everyday banking needs of its customers. With a track record such as this, customers and stakeholders can only be assured of the very best from a Bank that has differentiated itself from competition by satisfying the changing taste and demands of customers through deploying cutting edge ICT, employing the best human capital in the industry and firm commitment to first class service delivery.